"I've got a griever in my office, now what do I do?" I’m afraid to talk about my client’s heartbreaking loss because I’m worried I’m going to start crying myself. I feel stuck with helping my client processing their feelings. It seems like it’s becomes the same stories over and over. I don’t know how to help them with the feelings of guilt they talk about, over and over again. The stages of grief don’t seem to make sense to me but that’s what I was taught. I’m Debi Jenkins Frankle, loss and grief expert. I was in the process of finishing my master's degree to become a therapist, when my mom died (even though it was cancer, it was so advanced she died within 2 weeks from diagnosis). I was devastated. I thought I just needed to go through all the "stages of grief" and I'd be okay...that's what my own therapist told me. But then I started seeing grief more clearly as the underlying pain when clients seek our help. I have seen in my own practice, as well as providing trainings to grief counselors throughout North America, when we help our clients address the pain of their grief, it reduces symptoms of depression and anxiety. Receive a structured framework for addressing grief that allows you to work with each client at their pace. Learn how to assess for losses. Learn specific exercises to address the current loss they are presenting. Understand how to teach your clients about grief, including what NOT to say as well as effective exercises to help clients feel more peace with their loved one. I truly believe that underneath every presenting symptom that our clients bring to us, there is almost always a significant loss or heartbreak that has happened and our clients have been ill-prepared to deal with the grief. When I changed my approach to working with clients in grief, I started seeing and hearing comments from my clients that they felt heard, that they became more aware of how their history of losses had affected them in the present. I was able to create a space that allowed them to heal and move forward. If you’re ready to learn the concrete tools and structured strategies to GUIDE your clients through theIR grief while continuing to feel confident and competent as a therapist, go ahead a click below to register for this 6-part series. THERE ARE ONLY 10 SEATS AVAILABLE FOR THIS TRAINING! SIGN UP NOW!! NEXT TRAINING WILL NOT BE UNTIL 2019. Part 1 – “The Basics of Grief from the first Session”: What you Need to Know and the Questions you Need to Ask. Part 2 – The Importance of an Interactive Loss Assessment. Part 3 – The Story of Us: Helping Your Client identify the Whole Story. Part 4 – Making Inner Peace with the Story. Part 5 – “Special Considerations”: Suicide Loss, Violent Death, LGBT, Pregnancy Loss/Termination, Disenfranchised Grief. Part 6 – Child & Teen Grief: How to Help Families Heal and Reconnect. *Six weeks of content that was designed with a structured framework for addressing grief that allows you to work with each client at their pace. Learn how to assess for losses using interactive skills and activities that encourage your clients to participate. Learn specific exercises to address your clients’ pains of regrets, resentments and remembrances. Receive resource lists to share with your clients (i.e. suggested readings, websites, books). * You will have access to all the course material for as long as you need! *Six weeks of small group 75 min. coaching sessions where I’ll guide you each step of the way to ensure that you’re implementing what you learn and are overcoming any obstacles that stand in your way so that you can experience confidence in working with your clients in addressing grief on the other side of those six weeks. *A private community for other mental health professionals just like you who are so ready to expand their practices and experience more energy and confidence to support your clients. Next series starts in June 2019. $899 for the series of 6 weeks. $499 for the series of 6 weeks for prelicensed mental health professionals. "it was most helpful to find out what questions to ask and ways to conceptualize that (grievers) are coming in with" Yael K.
"What I found most helpful was Debi's insights, tools and persona" Dr Tess W.
"Your presentations are so incredible and helpful and thought/feeling provoking". Barb W.
Space is limited and filling fast! Sign up and get started! · Debi Jenkins Frankle LMFT Grief Recovery Specialist. Debi has been working with grievers for over 25 years. She and husband, Mark Frankle LMFT, are the co-founders of the Calabasas Counseling and Grief Recovery Center. Debi is the founder of the Los Angeles Consortium of Grief Professionals (aka Private Practice Grief) Workshops and Trainings for Mental Health Professionals. · Debi’s areas of expertise are grief, trauma, medical family therapy, and emotional effects of chronic illness. 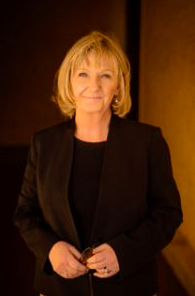 Debi has led trainings for grief counseling professionals throughout the United States and Canada, in addition to presenting for CAMFT (California Association of Marriage and Family Therapists), San Fernando Valley CAMFT and various organizations throughout Los Angeles. Debi is a past president of San Fernando Valley chapter of CAMFT, past committee co-chair of the Crisis Response Network for SFV-CAMFT and a member of the Association for Death Education (ADEC) and American Academy of Bereavement (AAB).